Wedding is the most important and eventful occasion in anyone’s life. 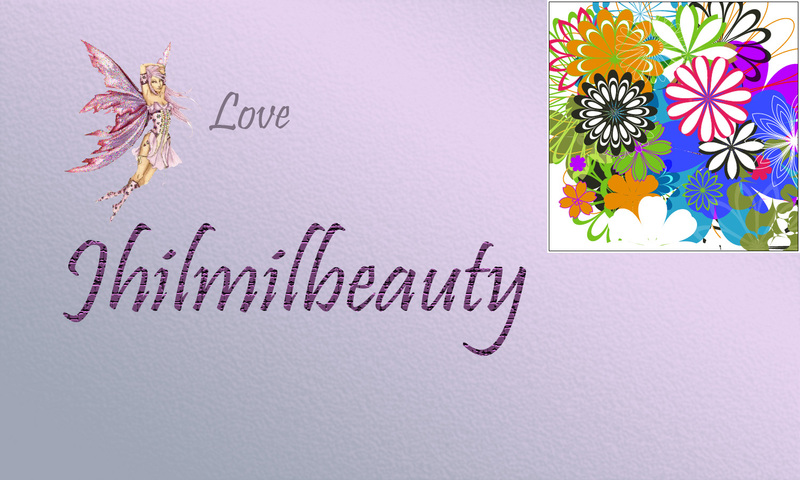 Everybody, especially girls, always dream to have a fairy tale wedding with dreamy sequence and gorgeous gown. 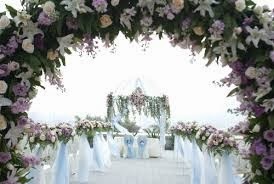 No matter how we view celebrities as, even they consider their day of wedding as very special and do not hesitate to go to any heights for making the day very different and unique. 1. 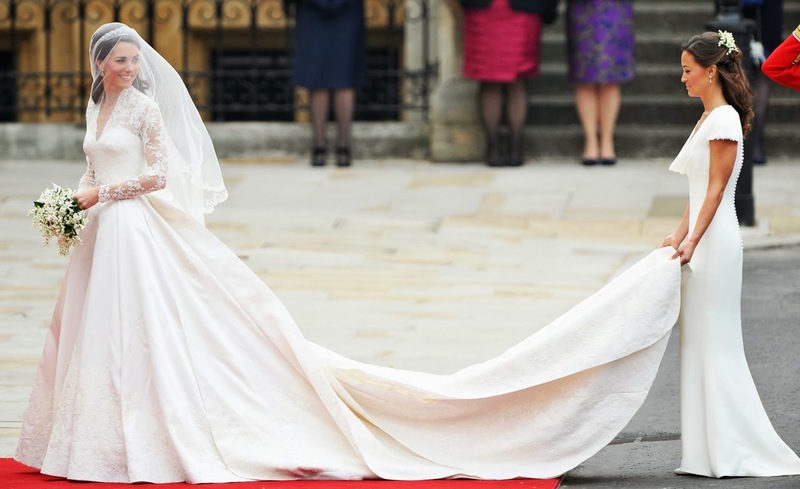 Kate Middleton’s Wedding Dress: Duchess of Cambridge, Kate Middleton’s wedding to Prince Williams has been a much talked about affair and when the press captured a glimpse of the beautiful wedding gown, the world just did not stop praising about it. The unique dress is marked by a lace applique bodice that is adorned with hand-cut and individually applied English lace roses that marks as a symbol of England. The thistles present symbolises Scotland, daffodils depicted Wales and Shamrock stood for Ireland. This amazing dress was designed by Sarah Burton who is the Creative Director of Alexander McQueen and is priced at $400,000. 2. Melania nee Knauss Wedding Dress: When Melania nee Knauss walked the aisle with zillionaire business tycoon on 2005, apart from their high profile wedding reception and an envious list of celebrity guest list, what caught everybody’s attention was the grand gown that the bride wore for that day. The 300 feet tulle was something everyone noticed. To carry the heavy weight of the dress, the bride was suggested to eat well before the big day. This was for carrying the weight easily. A special bench was arranged, instead of a chair for the bride to sit to accommodate the large dress. The dress was beautifully embroidered with 1500 pearls & rhinestones. This dress is approximately valued at $200,00. 3. 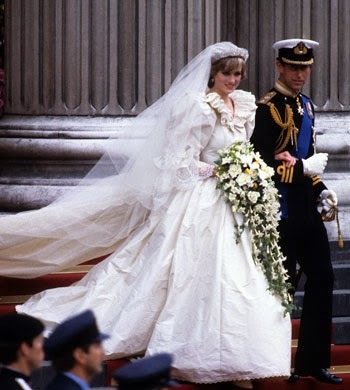 Princess Diana’s Wedding Dress: When Princess Diana Spencer, one of the most beautiful women the world has ever seen, tied the knot with Prince Williams, she left the world spellbound with her beauty as well as the gown that she wore for the day. The gown was designed by David and Elizabeth Emanuel with much research and consultation. It is a Victorian style gown made from 250 yard of lace, tulle and ivory silk taffeta. The lace used in the dress was antique hand-made Carrickmacross lace. Embedded with 10,000 pearls and sequins that adorned each layer of the gown, it had a 25 foot long train. Estimated at $ 150,000 this gown is a bridal legend. very private as was her understated style for the day. Before she went on to become one of the world’s most sought after fashionistas her wedding dress, designed by famous designer Vera Wang attracted everyone. The strapless champagne coloured dress with a long 20 feet train and diamond coronet, is estimated at $100,000. 5. 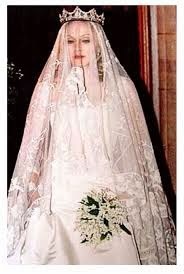 Madonna’s Wedding Dress: One of the most popular and richest pop stars of all times, Madonna’s wedding to Guy Ritchie was major news to cover for the paparazzi. 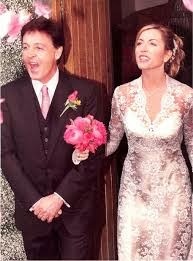 The lovely dress designed by ace designer Stella McCartney was a whopping $80,000 at that time. It was marked by ivory silk flowing material. Its corset bodice and full-length skirt looked so elegant that everyone adored it. The antique veil was designed with embroidered lace all over and was tucked with a diamond crown. 6. Kim Kardashian’s Wedding Dress: Reality star Kim Kardashian’s short-lived wedding was much hyped and talked about at that time and so was her assortment of 3 gowns designed by Vera Wang. Each gown estimated at $25,000 totalled to a whopping $75,000 and makes it stand at number 6 in the list. The dresses, all designed very differently by the designer beautifully hugged the star’s curvy body and enhanced her beauty. 7. 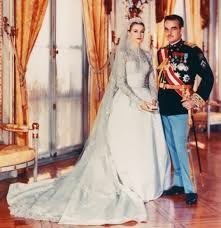 Grace Kelly’s Wedding Dress: This dress is one of the most talked about and famous wedding dresses in the world. Known to be the inspiration behind Kate Middleton’s wedding gown, this dress worn by Grace Kelly on her wedding in 1956 was designed by MGM seamstress Helen Rose. It may not seem to be very attractive in respect of its cut, specially in modern times, but it will always be known as a lavish gown. The gown was designed with 25 yards of silk taffeta with 100 yards of silk net. The other noticeable feature was ivory peau de soie, seed pearls and Brussels Rose is estimated at $65,000. 8. Keely Shaye Smith’s Wedding Dress: When television presenter Keely Shaye Smith married actor Pierce Brosnan, she wore one of the best gowns worn by any celebrity during her wedding day. The dress designed by Richard Tyler, was marked with pearl encrusted overall motifs, had a French lace coat covered with many hand-sewn fresh water pearls. It is estimated at $60,000. 9. Tori Spelling’s Wedding Dress: Tori Spelling’s 1st marriage was a costly affair of $1 million out of which $50,000 was spent for the gorgeous wedding gown. The dress, designed by Badgley Mischka, was a sparkling beautiful full-length gown. The charming dress designed like a flapper was designed with lots of beadworks which was hand-sewn. Tori Spelling looked very lovely wearing this dress on that day. that caught everyone’s attention. The dress designed by eminent fashion house Eavis & Brown of London was made with ercu lace. The charming gown was priced at $40,000. The memory of the dress still lingers on the viewer's mind for its exotic beauty and charm. So, here is the overall list of the most expensive celebrity dresses worn by them on their wedding day. These dresses are unique, beautiful and lovely and can only be afforded by the rich & famous. These exclusive gowns can only be worn by exclusive people. The legend of these wedding dresses will always live on.